J.D. Bindenagel, Vice President for Community, Government, and International Affairs, is responsible for deepening connections between DePaul’s Chicago and overseas campuses and communities. These local, global and government relationships support DePaul's mission to prepare students, not only to better understand, but also to influence and shape the world in which they live. A former ambassador and 28-year veteran of the U.S. diplomatic corps, Bindenagel brings extensive experience in governmental and international affairs to his new post. Prior to joining DePaul, he was vice president for program at the Chicago Council on Foreign Relations. President Bill Clinton appointed him in 1999 as U.S. ambassador and special envoy for Holocaust issues. As ambassador, he provided policy, diplomatic and negotiating advice to the Secretary of State on World War II-era forced labor, insurance, art, property restitution, and Holocaust education and remembrance. He played an instrumental role in the negotiations that led to agreements in 2001 securing $6 billion in payments from Germany, Austria and France for Holocaust and other Nazi victims. A U.S. Army veteran, he served the State Department in Washington, D.C., and Germany in various capacities from 1975 to 2003. 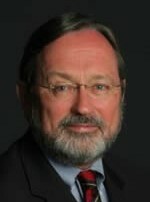 He was director for Central European Affairs in the Bureau of European and Canadian Affairs at the State Department from 1992 to 1994 and U.S. charge d'affaires and deputy chief of mission in Bonn, Germany, from 1994 to 1997. He was U.S. deputy chief of mission at the American Embassy in Berlin, East Germany, at the time of the fall of the Berlin Wall in 1989 and helped negotiate the reunification of Germany. Other Foreign Service assignments included head of the embassy political affairs unit in Bonn in the mid-1980s, when he helped pave the way for the deployment of U.S. Pershing missiles on German soil. Bindenagel was special U.S. negotiator for “Conflict Diamonds,” leading a U.S. government interagency group to create a certification process to prevent proceeds from sales of illicit rough “conflict” diamonds from financing insurrections against legitimate governments in Africa. He also was an American Political Science Association fellow with Congressman Lee H. Hamilton (1987-1988) and was director, Business-Government Programs for Rockwell International (1991-1992). Bindenagel received the State Department’s Distinguished Service Award in 2001, the Commander’s Cross of the Federal Order of Merit from the President of Germany in 2001, and the Presidential Meritorious Service Award from President George W. Bush in 2002. He holds a bachelor’s degree in political science and a master’s degree in public administration from the University of Illinois at Urbana-Champaign.